Easy push button installation - no tools required. Suction cup designed for a strong hold. Redline Indicator alerts users when to press button to increase suction power. 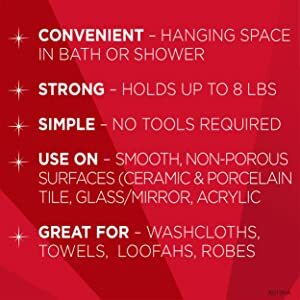 Recommended for: All smooth non-porous surfaces such as ceramic tile, porcelain tile, glass/mirror, and acrylic. Not for use on porous or rough surfaces such as drywall or natural stone. 1. Clean wall surface where suction cup will be applied. 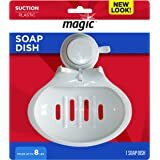 Wipe off suction cup to remove any dust. 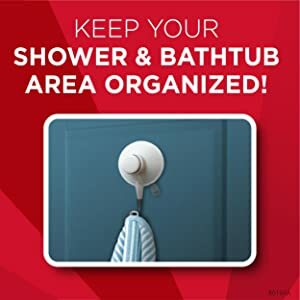 Allow surfaces to dry completely before applying suction cup to wall. 2. Position suction cup in desired location. 3.Press center button firmly until the red line on button is no longer visible. 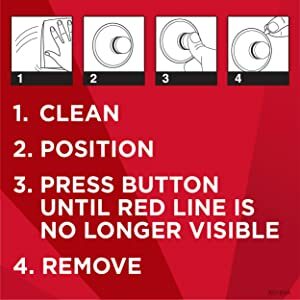 If at any time the red line begins to show again the suction cup is losing suction power. Simply press the button to reseal. This is the 3rd one we have and we love them. We use them on an acrylic surround and they NEVER fall off. I believe over time they may fall off tile because of the porous nature of some ceramics. 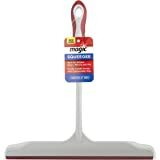 With acrylic and other non porous surfaces, this is a terrific product! 2.0 out of 5 starsJust not for me ! Well I hate to down grade anything but this just didn't work at all for us. 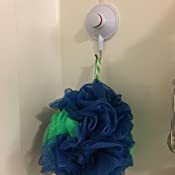 I thought maybe it would work to hang a small back brush in the shower but it will only stay up for around a day then fall down.Shower has a flat smooth surface that I made SURE it was very clean and dry before putting it up. Brush is not heavy at all really so I'll try something else. 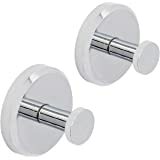 I wish they worked.I got 3 for my bathroom shower wall,just to hang a loofah,& they kept falling.I had to keep pushing the button but at night I would hear loud bang noises.Very annoying.Then I tried to use it in kitchen, on oven door just to hang a oven mitt, & it fell an hour later. 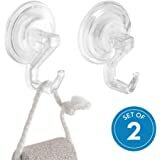 I have had these for a year and they work great! They still look new- no mildew or hard water stains! Loved it, left it on a hotel mirror, buying a replacement. 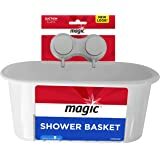 Sticks great, perfect compliment to a heavy toiletries bag with hanger. 5.0 out of 5 starshooray! 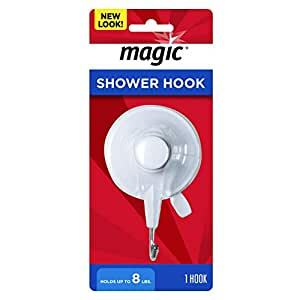 these are the only suction hooks I will buy ever again in my life. pricier than most but also doesn't fall down after 2 days. i follow instructions and it holds fine for about 4 hours, then falls. 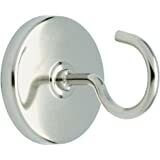 really strong and sturdy suction hook. the best i've ever had. recommend it.